An employee inside the casino prepares for the opening of MGM Cotai in Macau, China February 13, 2018. 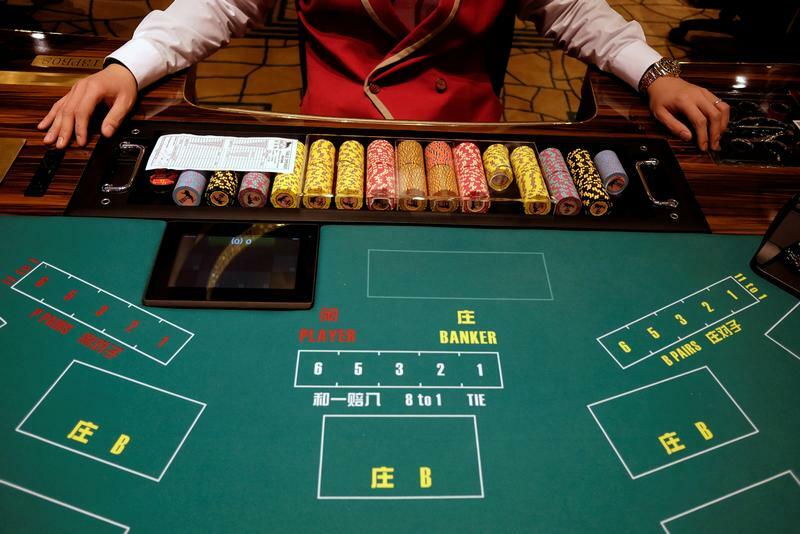 Shares in the Hong Kong-listed Macau casino operators – Galaxy Entertainment, Melco International, MGM China, Sands China, SJM Holdings and Wynn Macau – are down 13 percent since the beginning of September. The benchmark Hang Seng Index fell by 1.4 percent in the same period. The six stocks fell by an average 22.5 percent in the first 12 days of September.